Liberty Cotton. Riley Blake Designs is the official distributor in the United States. 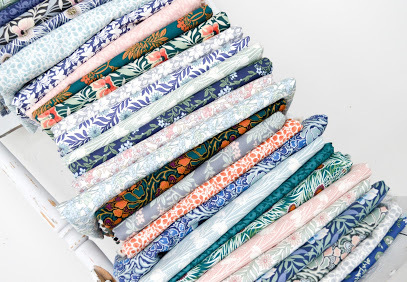 Liberty Cotton, by Liberty Fabric, is high quality quilting weight cotton. Hesketh House comes in several different color lines...all of them gorgeous! 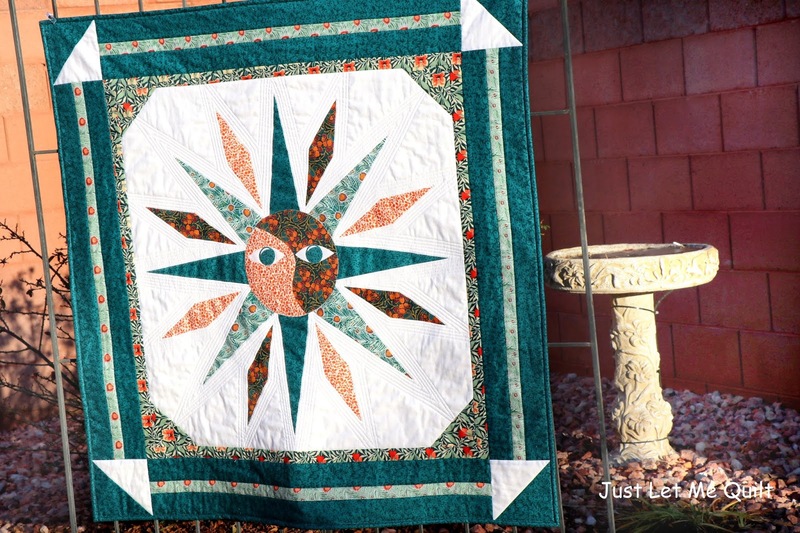 I used the Hesketh House green fabrics for the Sun In My Eyes quilt. 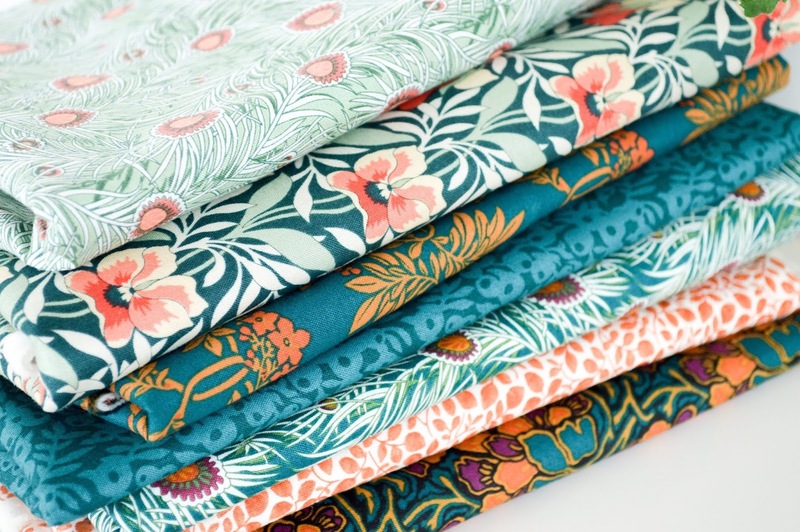 With the Hesketh fabrics just bursting with color, it was perfect for the sun. You can find "Sun In My Eyes" in Just Let Me Quilt's Etsy store HERE. Your quilt is stunning! The fabrics and the pattern together...perfect! Love what you did with the design and fabrics. That is a fabulous quilt. That is fabulous, Carol, and the quilting is perfect with the design. It's lovely, Carol. I love the colours you used. So unusual. The quilting could not be more perfect.